Has California’s homeless population ‘skyrocketed’? And how does it rate nationwide? By Chris Nichols on Tuesday, March 27th, 2018 at 3:23 p.m.
As California’s affordable housing crisis deepens, so does the state’s related and often intractable problem: homelessness. Candidates for governor made numerous assertions about the scale of California’s homeless population on March 8, 2018 during a housing forum in Sacramento. The state has wrestled with this topic for decades, but has homelessness really "skyrocketed"? And how does its per capita and overall homeless population compare with other states? We found answers in a December 2017 report by the U.S. Department of Housing and Urban Development: The 2017 Annual Homeless Assessment Report (AHAR) to Congress. It includes a state-by-state comparison of homeless populations based on a one-night count in each state in January 2017. The report tallies per capita homeless rates and total homeless populations along with comprehensive sets of demographic data. Sharon Rapport, associate director for California policy at the Corporation for Supportive Housing, described the report as "the most authoritative" resource on the topic. CSH is a national organization that develops housing policy and makes housing loans. She noted the HUD report is a snapshot of how many people are homeless at any given time. Her organization estimates the number of people who are homeless for at least part of a year is two to three times higher than any point-in-time tally. Has homelessness ‘skyrocketed’ in California? The report shows California’s homeless population jumped nearly 14 percent from 2016 to 2017 — to a total of more than 134,00 people. It rose nearly 9 percent over the previous seven years. Notably, the rise statewide and nationally in 2017 was attributed to a surge in the number of people living on the streets in Los Angeles and other West Coast cities, at least in part due to a shortage of affordable housing. Compared to the nation’s relatively small increase, Allen is on track when he says California’s homeless population has "skyrocketed." How would Allen tackle the problem? "We need more state run mental institutions," the lawmaker said at the forum. The institutions would offer the homeless substance abuse and psychiatric services, he said, "so they can get back on their feet and re-enter the workforce." Does California have the nation’s highest homelessness rate? On this point, Allen is slightly off target. While the 2017 HUD report shows California’s per capita homeless rate is high, it’s not the highest. California has the third highest rate nationally with 34 in every 10,000 people in the state experiencing homelessness. Two states are worse off: New York and Hawaii. New York ranks second with 45 homeless people per 10,000. Hawaii, meanwhile, ranks first with 51 per 10,000. 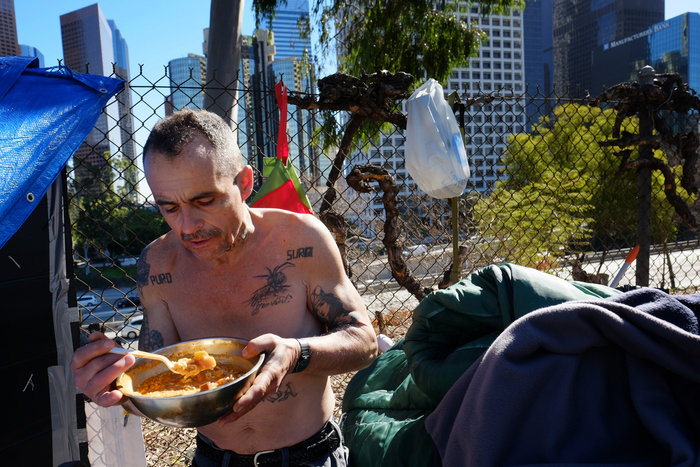 Does California have the highest homeless population in the nation? Allen is again correct on this part of his statement. The HUD report lists California’s total homeless population at 134,278. That’s about one quarter of the national homeless population of 553,742. New York was a distant second with 89,503 followed by Florida with 32,190. 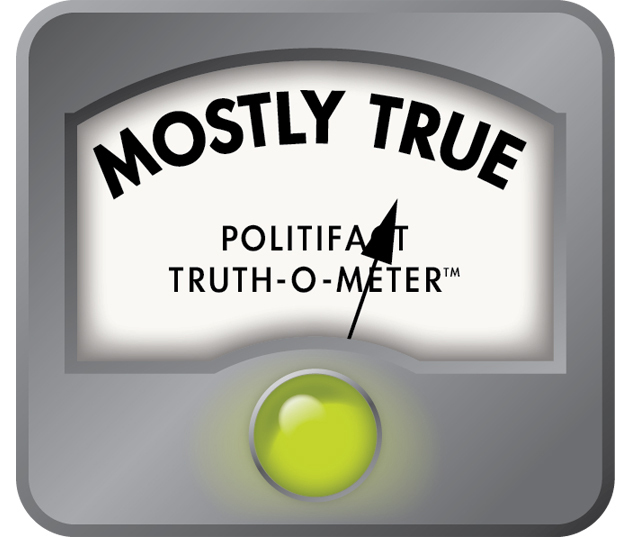 "California does have the highest homeless population in the nation according to the (HUD report), but not the highest rate of homelessness. As a state, our per capita rate is amongst the highest, but it is not the highest," Rapport, of Corporation for Supportive Housing, summarized in an email. Candidate for governor and state lawmaker Travis Allen recently claimed homelessness has "skyrocketed" in California and that the state has "the nation’s highest homelessness rate and the nation’s highest homeless population." 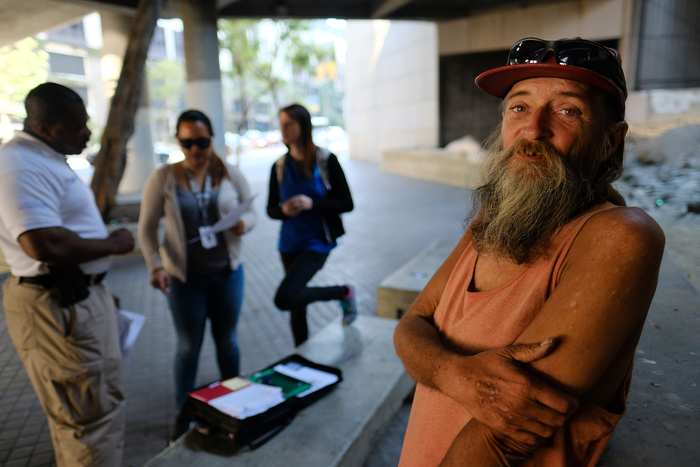 A December 2017 report by the U.S. Department of Housing and Urban Development is considered the authority on state-by-state homeless counts, and shows Allen got two of his three points correct. California’s homeless numbers jumped nearly 14 percent in 2017 as nationwide levels remained nearly flat, giving credence to his first point. Meanwhile, the report showed two other states, Hawaii and New York, have a higher per capita homeless rate than California’s. Finally, it shows California, indeed, has the highest total homeless population at 134,278, far more than second place New York. Looking at Allen’s statement in sum, he was on the mark twice and only slightly strayed from the facts on the per capita claim. For that reason, we rate his overall statement Mostly True. UPDATE: After publication, we received an email from a spokeswoman for Travis Allen. To support the statement, she cited an Assembly Housing and Community Development Committee Analysis of AB 2161 showing "California experienced the largest increase in the number of residents experiencing homelessness – over 16,000 individuals" from 2016 to 2017. Published: Tuesday, March 27th, 2018 at 3:23 p.m.